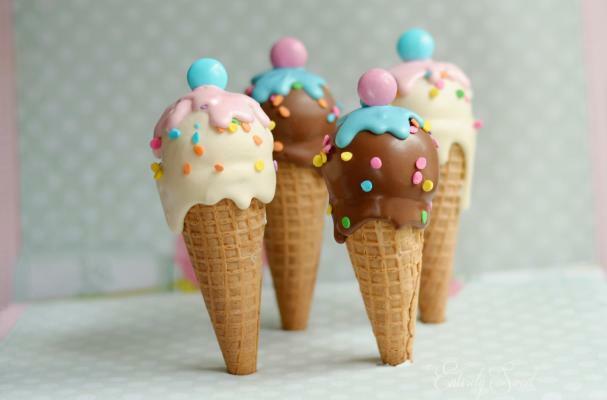 These ice cream cone cake pops won't melt in the sun. The cake pops, made by Entirely Sweet, are scooped-up cake truffles nestled in a waffle cone that makes the dessert truly look like the real deal. Available in chocolate, yellow cake, double chocolate velvet and red velvet, these cake pops will surely satisfy any sweet tooth. For more cleverly designed cake pops, check out these sushi cake pops.